The Eye Doctors, Opticians and Staff at Bella Eye Care Optometry in Newark are here to serve you. We come to the office every day with the single mission of improving your life by providing you the finest eye care in the Tri-City area. 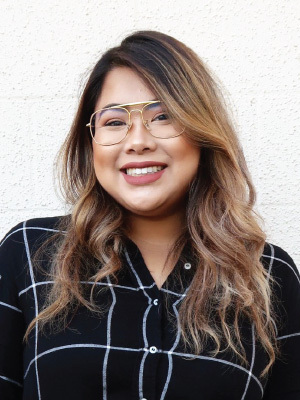 From state of the art eye exam equipment to the newest styles and colors in designer eyeglasses, we believe you will find the finest eye care in the Bay Area. Come see what your friends, family, and neighbors already know, Bella Eye Care Optometry provides the best eye care and service with a smile on each and every visit. 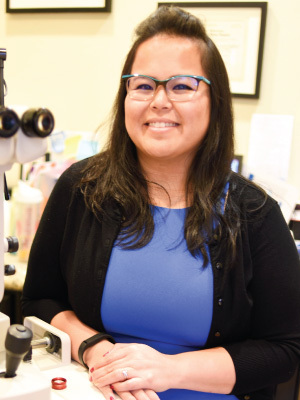 Dr. Nguyen is a graduate of Nova Southeastern University College of Optometry in Fort Lauderdale in Florida. 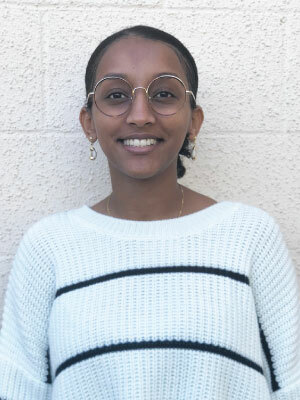 She completed a coveted internship in Ocular Disease at the prestigious Bascom Palmer Eye Institute in Miami, Florida. 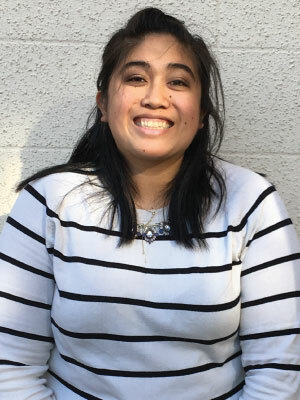 She has received a BSc in Vision Science from Nova Southeastern and a Bachelors in Science in Neurobiology, Physiology, and Behavior from UC Davis. As a student I jumped with both feet into any new disease or pathology we were covering in school. I couldn’t learn enough and loved my time in the classroom. As an intern, I loved the connection between fashion, design and health in the field of Optometry. There was a synergy there that continues today at Bella Eye Care, where we strive to provide the finest, most comprehensive exams in the Bay area. We strive to provide a wide selection of wonderful designer eyeglasses from around the world in a fun, friendly, family-oriented shop in Newark. I can remember when I first met my patients and their families and now, having watched those kids grow up as my practice has grown has been so rewarding. I love the connection with our patients. As a practice, we get together multiple times during the year to volunteer at Project Homeless Connect in San Francisco and help provide much-needed eye exams and eyeglasses to the needy in our communities. It truly warms my heart to see the smiles and dry the tears of those we’ve helped see clearly for the first time in years. 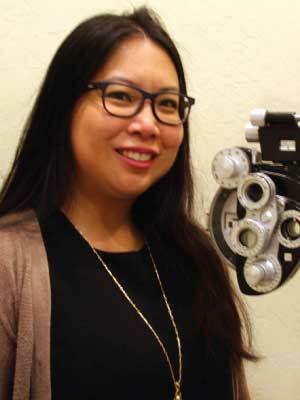 Dr. Anh Thu Nguyen graduated from Nova Southeastern University College of Optometry. She obtained her Bachelors of Science in Biology from the University of South Florida. I deeply value a good doctor-patient relationship. It is one of the reasons I chose Optometry as a field. This profession allows me such wonderful interactions with each person I examine. While we all want to have the best possible vision each of us has something special we want to see, whether it’s the pages of our favorite books, the road we commute on, the landscapes we love to hike on, or the stars we love to gaze at. Learning about what is important to each of my patients makes each exam even more fulfilling and even more accurate. I wouldn’t trade what I do each day for anything. Dr. Patricia Hom received her undergraduate degree from UCLA with a B.A. in Economics and her Optometry degree from the University of California at Berkeley. During Optometry school Dr. Hom was awarded the U.C. 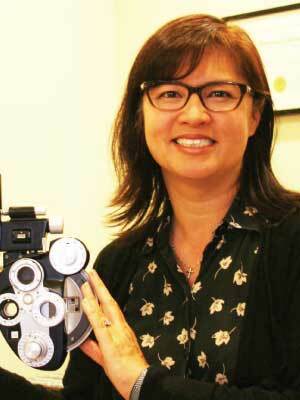 Berkeley School of Optometry Feinbloom Award for Excellence in Low Vision and Primary Care. She then went on to do a residency at the Palo Alto Veteran’s Hospital with a specialization in Primary Care and Low Vision. 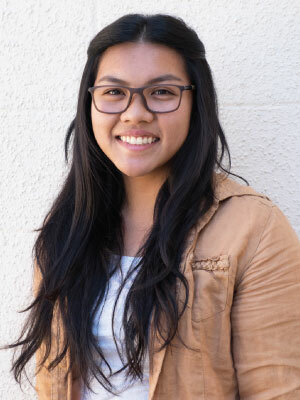 She was selected as the ‘Young OD of the year’ by the Santa Clara Optometric Society in 2005. Dr. Hom has also volunteered with the Berkeley Chamber of Commerce and was on the Health Advisory Committee for the Head Start Program in Berkeley. I have been practicing Optometry for over 19 years now and I still love learning new things and being able to help my patient’s lives in new ways to always see their best. My husband often comments that I am one of the few people he knows who actually loves what they do. I continuously attend optometry meetings to enhance my knowledge of the most recent developments in optometric care. I feel that it is important to integrate the knowledge from these meetings into my patients’ eye examinations to make them as comprehensive as possible. I enjoy my time with my patients and can often be heard laughing during appointments. I try to make patients feel comfortable during the exam ask them about other aspects of their lives to create their prescriptions with a more holistic approach. I also love to volunteer my time and have traveled to Nicaragua to serve as a Medical Missionary with Medical Wings International. 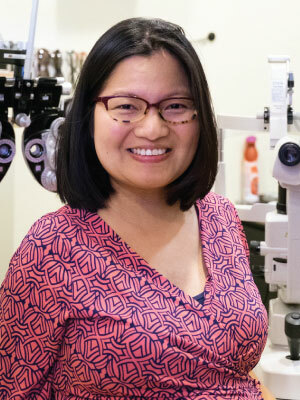 Dr. Clarissa Sin graduated from the State University of NY College of Optometry. Her undergraduate degree is from the University of California at Davis with a BSc in Genetics and Economics. I decided to pursue optometry after I found myself missing daily human interactions whilst working in medical research. I really enjoy meeting new people and establishing rapport with patients in the exam room. There’s just something so special about helping patients understand their eye health, and fitting them into glasses or contact lenses to help them see clearly. I like to keep updated with the latest technologies in prescription lenses and contacts so I can fit my patients into the best options for them. 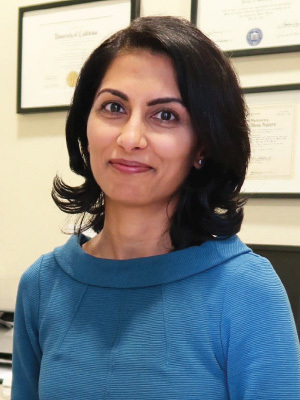 Dr. Alpa Shroff obtained her doctorate from the Pennsylvania College of Optometry in 2003 and completed her undergraduate studies at the University of Waterloo in Canada. She has received extensive training in Primary Care, Pediatrics, Glaucoma and post-op management of patients who have undergone cataract and laser surgery. She was awarded the ‘Young OD of the year’ award by the Santa Clara Optometric Society in 2011. The one aspect of my profession that I love the most is getting to know my patients. Every patient has a unique lifestyle and has individual visual needs. I enjoy working with my patients to figure out what we can do to make their vision better and maintain healthy eyes. I will spend the extra time with my patients to make sure we have addressed any concerns they may have about their eye health as well as ensuring their new eyeglasses prescription will help with their daily needs. I have a particular interest in the pediatric population and I try to make it a fun and stress-free experience. I enjoy seeing kids of all ages; from InfantSee baby eye exams to fitting teens in contact lenses for the first time. As a mom to two young kids myself, I understand the vital role good vision has on the learning process and how crucial it is for early childhood education. When I’m not seeing patients at Bella, I enjoy spending time outdoors with my husband and young son and daughter, on most weekends you will find us hiking the east bay hills. The right frame can instill a sense of confidence that can change somebody’s life for the better. Although I no longer wear prescription glasses, I get to guide patients as they find the perfect pair of glasses that complements their personal style. I’m currently wearing Ortho-K contact lenses because I love the idea of correcting my vision while I sleep (even though sleeping with hard lenses took a little getting used to at first). When patients try contacts for the first time, I get to teach them how to put their contacts in and how to take them out. Often times, I’m able to witness the pride and instant gratification of putting in a lens and being able to see! Sometimes change is difficult, so it’s really rewarding to spend my days helping people who are in search of something that not only looks good, but also helps them see the beautiful world around us. One of the reasons I chose to be a part of the team at Bella is because I truly care about being able to help people. My favorite customer story is when I helped a seven year old pick out his first pair of eyeglasses. When the glasses were ready and he came in to pick them up and as soon as he put them on he exclaimed “Mommy, it’s not blurry anymore!” That just made my day. I also love working alongside all the other amazing staff here, it’s the best part of my job. We share great camaraderie and help each other out so that our patients have the best possible experience here! I have great fun fitting our patients with frames from our collection that suits their individual sense of style. My personal favorite is the ProDesign brand because it is so unique. I may be one of the newest opticians at Bella Eye Care Optometry, but I have a longer history here than most of my coworkers. I started as a patient here in high school and was so taken by the wonderfully collegial atmosphere here with all the smiles, that actually coming in every day and working here became my goal. I love my job and I especially love helping our younger clients try on eyeglasses for the first time and see the look on their face when a whole new world opens up to them for the first time with the eyeglasses that they picked out. I can honestly see myself making a career of helping people improve their vision with our great eye exams and eyeglasses. I enjoy the enthusiasm I see in children and adults to see clearly at Bella Eye Care Optometry. It motivates me to make sure I met the needs of the patients and that they leave our office with a better view of us and of their daily basis. The best part of my workday is the professional but comfortable conversations we have with our patients. It gives the honest image we have towards our customers while still guaranteeing that we are approachable and responsible. I was introduced to a very kind patient while she was awaiting her appointment with us. Our conversation consisted of her excitement for her last year in high school and getting ready for college. She wanted to start off her new year with a new look, and I was happy to help her see that new look with us. Ever since graduating college at Cal State East Bay, I have promised myself to take strides that will lead me to optometry school one day and Bella Eye Care was the perfect opportunity. 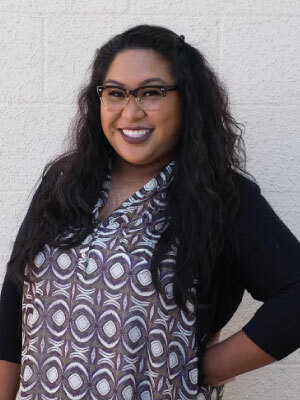 As an optician, I get to learn about the field, make one-on-one connections with patients, and connect vision with fashion to help people feel better about themselves and the world around them. It’s so imperative to listen to a person’s story, their likes and dislikes, and their personalities to properly find the best glasses for them. It’s truly a rewarding experience to have played a part in a how a person views the world. I’m a firm believer in making personable connections to create a better experience for patients and am excited for this Bella Journey. 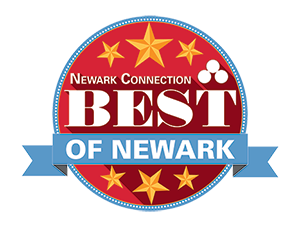 Voted Best of Newark again in 2018 thanks to you!